An alien ambassador discovers that not everything is as it seems when she meets the human male overseeing the rebuilding of an Earth city. Destin Parks will do whatever it takes to rebuild the city he calls home, even if it means working with the new alien ambassador sent to oversee the project. His encounter with her predecessor left him hesitant to trust the alien diplomats assigned to Chicago’s rebuilding. The problem is – if he doesn’t work with them, they will try to replace him and that is not going to happen without a fight. Jersula Ikera was assigned to Earth by the Alliance Council. The Council hopes her cool logic and calm demeanor will resolve the upheaval caused by the last ambassador. Jersula has fought hard for her position, and while not pleased with her current assignment as a liaison to the humans, she will do her best to help rebuild the world its inhabitants have destroyed. What she does not anticipate is her reaction to the hardheaded male that she has been assigned to. His ability to get under her skin and ignite a flame inside her leaves her confused and mystified. Danger undermines Jersula’s efforts when she uncovers another alien cartel’s plans to traffic human women and children. A near fatal attack leaves her trusting no one except the one man who has sworn to protect them. Together, Destin and Jersula race to stop the traffickers before the women and children are taken off-planet. What they don’t realize is that the traffickers are not the only ones they are fighting against; the Waxian and Drethulan forces have targeted Earth. Can Destin and Jersula stop the traffickers and prevent the deadly forces of the Waxians and Drethulans from destroying the progress they have made? 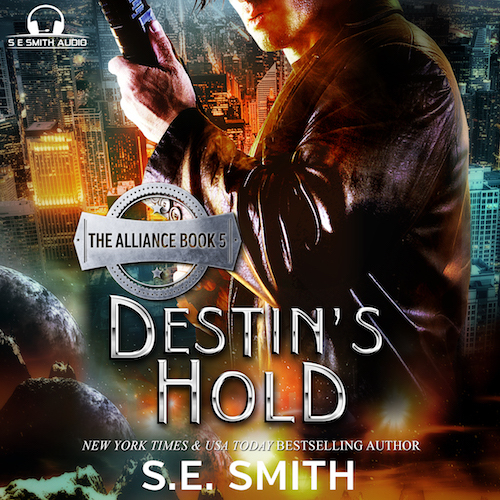 Will the Alliance be able to protect Destin when the enemy discovers his connection to a powerful Alliance family? The battle for Earth has just turned personal. Destin frowned and stared at Trig in disbelief. His life was in danger. Hell, when had it not been? Kali and he grew up on the streets, running them from the time they could walk until well after the Trivators announced their arrival and the Earth had dissolved into a fiery pit of hell and destruction. Now, the Trivators thought he needed a damn babysitter? Shaking his head, he crossed his arms and glared back at Trig. “Razor thought this was different,” Trig replied with a shrug. “Who am I supposed to be in danger from and what exactly did Ajaska say to make Razor think I might be in danger?” Destin asked with a skeptical expression. “For the future sake….” Destin shook his head. “Yeah, well, we’ve been trying to anticipate how this or that factor might affect an outcome we don’t even know the details of. All we know is you’ve got to live through what’s coming,” Trig said with a frustrated sigh. Oh!thats great ?was going to ask about Jarmans jane doe as i just read the the Lords of Kassis once again. Love your Books … look forward to the next one out. Eeeek…. I’m super excited for this book. Now on to… Bahadur & Toni, Jarmen & Jane, Kev & Jade, Armet & Shannon. (Hint, hint.) Oh more Dragonlings, Roam, and Alice too. Don’t forget about Adalard & Samara and Zebulon & Annalisa. They all deserve a story. Even if it’s just a short one. Pleeeeese!! !